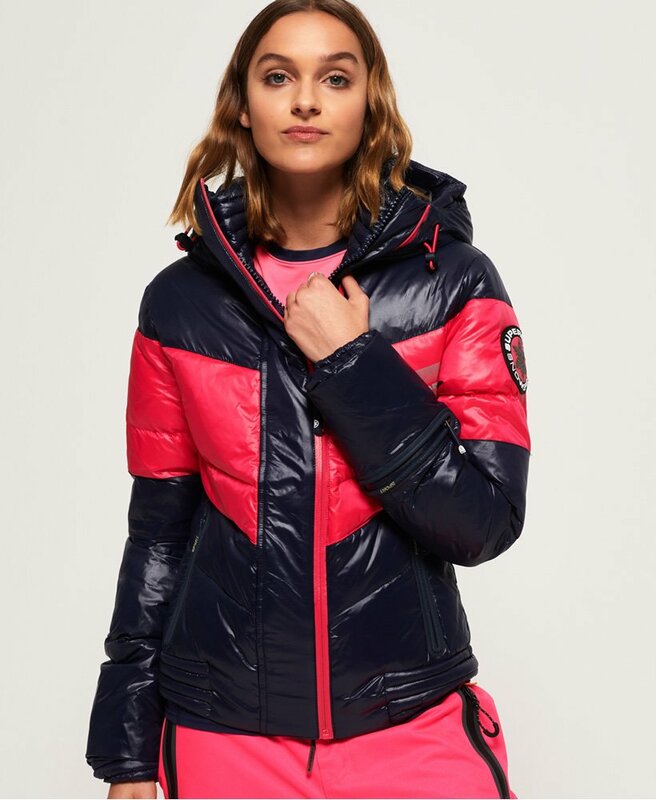 Superdry women's Snow Terrain down puffer jacket. Look stylish on the slopes in this puffer jacket, it has a 90/10 premium duck down filling and high down fill power rating, so you stay warm while taking on the mountain. It features a draw cord adjustable hood and a double layer zip fastening with taping on the outer zip to keep moisture out. This jacket also features elasticated cuffs, a removable snow skirt and two front zip fastened pockets. The Snow Terrain down puffer jacket is finished with a Superdry logo on the chest with reflective detailing, a Superdry logo badge on the sleeve and a handy ski pass pocket on the wrist.